Derek Blackham was a keen Doncaster Rovers supporter. A lifelong overseas supporter of Doncaster Rovers has died in the USA. Doncaster-born Derek John Blackham died last month in Milwaukee after battling a lengthy illness. 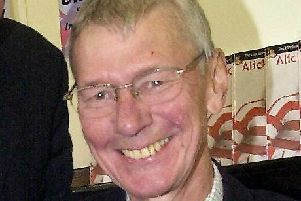 Derek, who was born in Doncaster in 1946, died on August 31 at the age of 70. An obituary posted in an American newspaper described Mr Blackham as the "beloved husband of Donna." Meanwhile, in an online Doncaster Rovers forum, user Mickyb wrote: "He fought that terrible disease bravely and with dignity too. When he is cremated shortly there will be also in his coffin with him his hats and scarfs of DRFC and also The Dons. He surely was RTID." "Rest in peace my good friend." A fund in his memory set up by Doncaster Rovers fans has already raised £250.